Former Hotel Fenice, now Hotel Spadai (not visited yet). 4* hotel next to the Palazzo Medici Riccardi. Just 200m from the San Lorenzo Basilica. You can book it here. Trattoria Mamma Gina. Cute restaurant with tasty Fiorentine T-bone steaks. Restaurant Borgo San Jacopo. High-class dining in the luxurious Lungarno Hotel close to the Ponte Vecchio. Cantinetta Antinori. Traditional food in traditional architecture. If craving for chocolate, visit Cafe Rivoire. Cafe Gilli. A well-known cafe at the Piazza della Repubblica with nice interiors. Impressing palaces like the Palazzo Medici or Palazzo Pitti. The Library Laurenziana, which was projected by Michelangelo Buonarotti. The sculptures of the Bargello Museum and Orsanmichele Church. 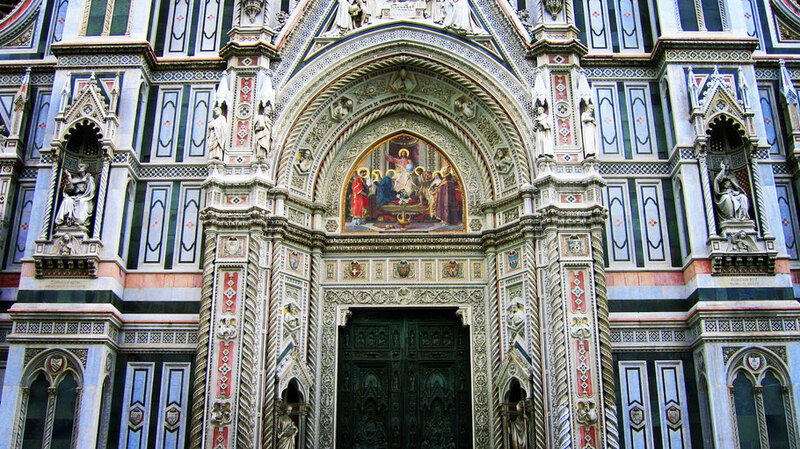 The Basilica Santa Croce, where e.g. Michelangelo is buried.